REST API for integration and new tools development. 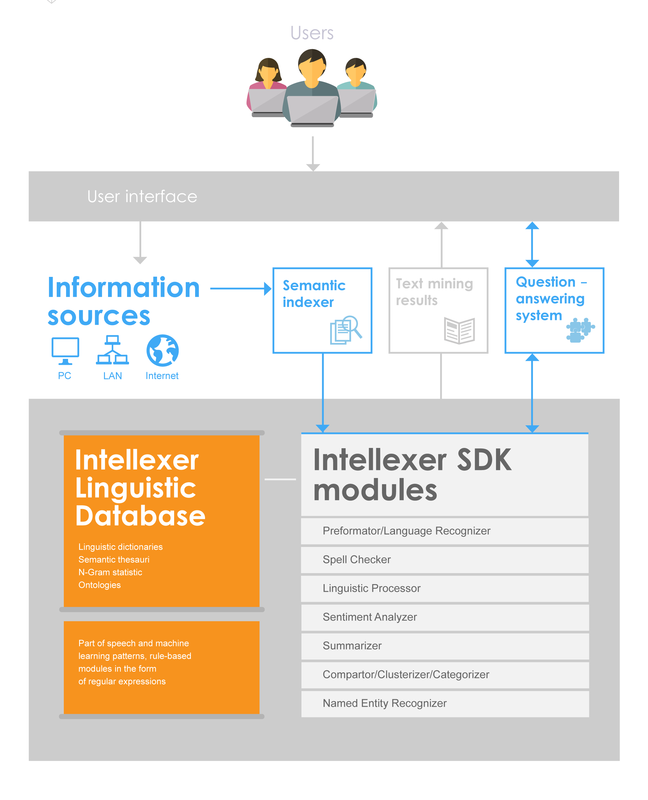 Intellexer Enterprise Solution is a custom search engine for information search, knowledge management and document systematization within a corporate network. 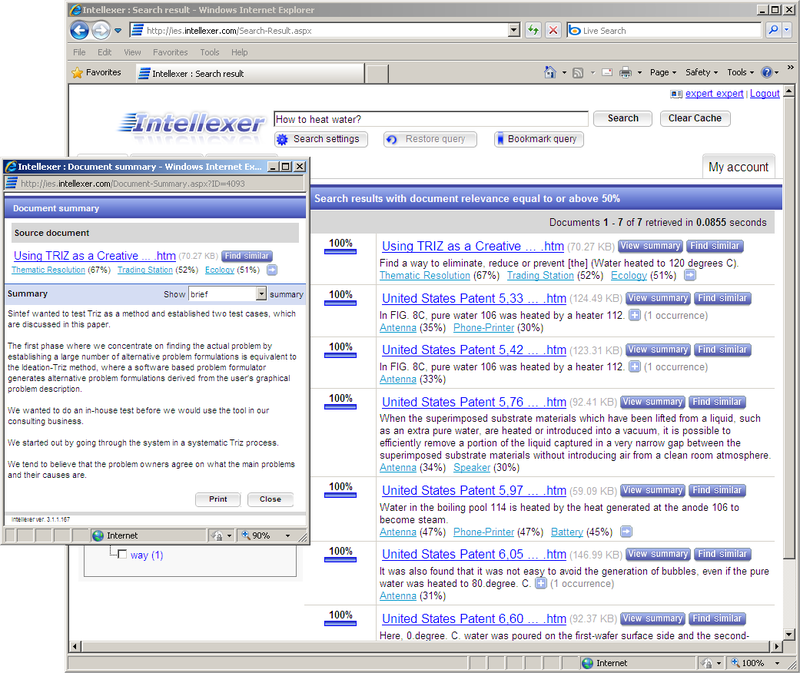 The system enables users to find in a database answers to the questions asked in natural language. 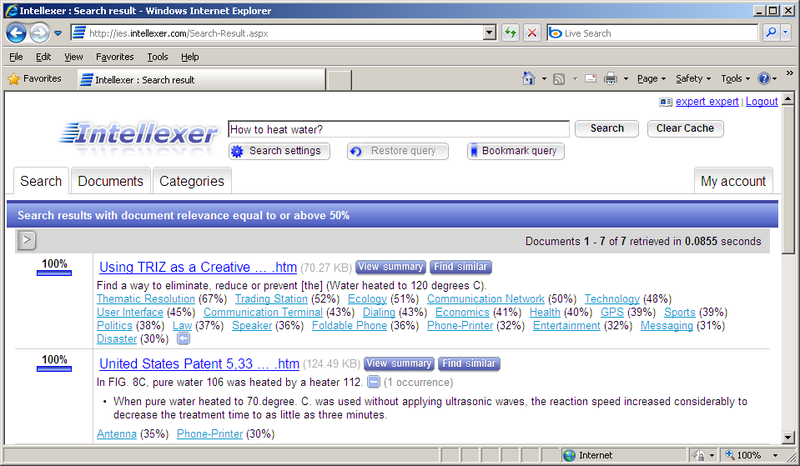 It can range the results by relevance and check spelling. 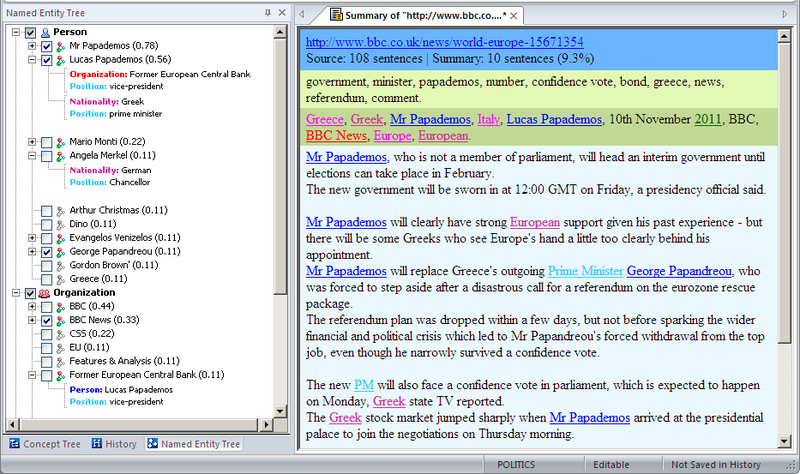 The function makes it possible to summarize any document so that users don't have to read the whole text. The feature finds documents similar in their meaning and defines the degree of proximity between them. 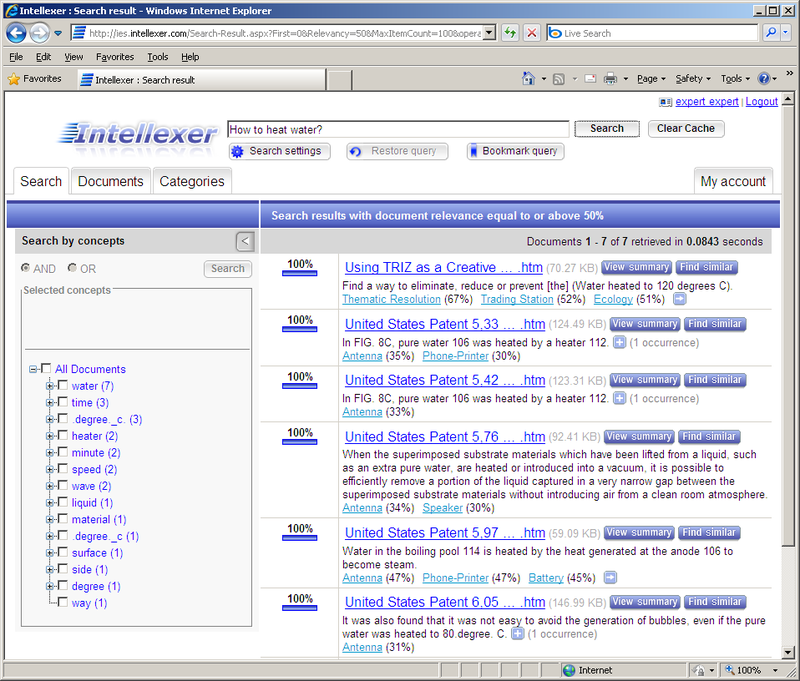 Categorizer lets users automatically distribute documents into the relevant category. The structure and settings of categories can be customized. 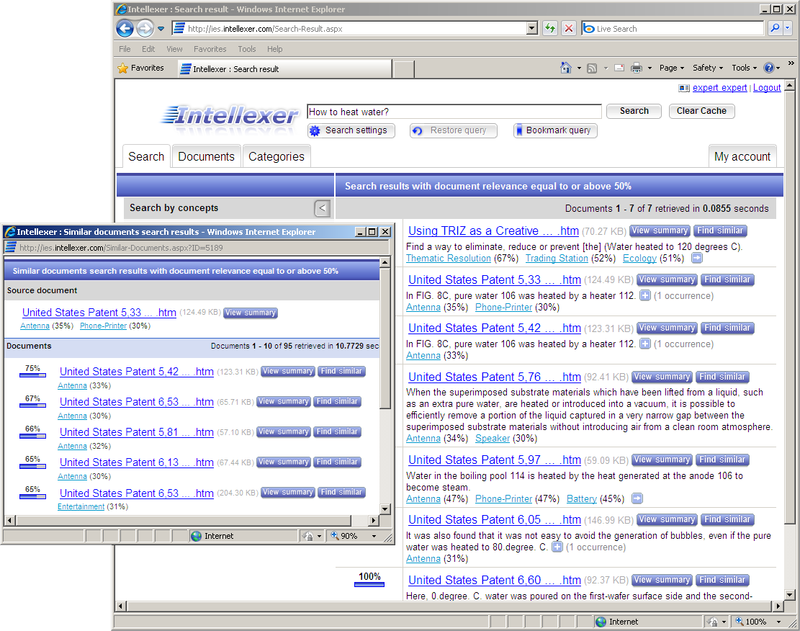 The system is able to extract the most important concepts from the found documents. 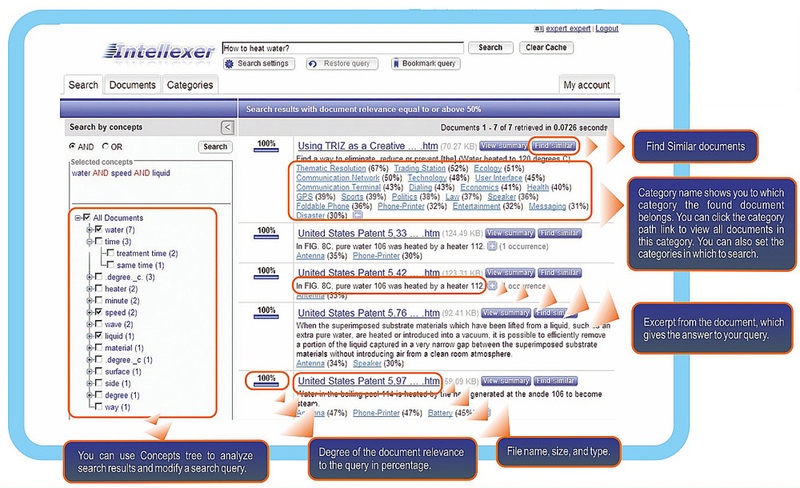 The function enables the system to recognize names in documents and define relations between the found names.